If tattoos are a good barometer of Marian piety, then Our Lady of Guadalupe has got to be one of the most popular Marian feast days of them all. 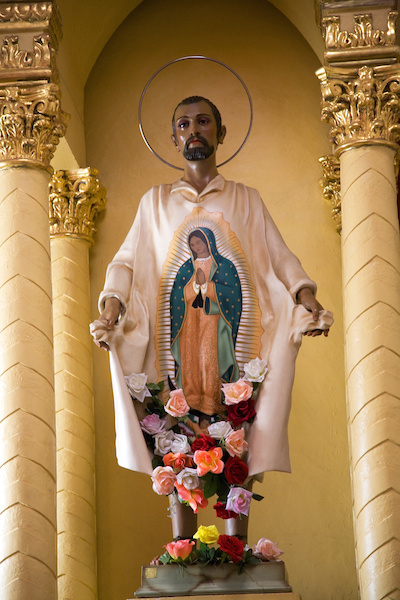 Lots of people know that in 1531, Our Lady appeared to a peasant man named Juan Diego in Mexico City. And every year, millions of people visit the Basilica of Our Lady of Guadalupe to see Mary’s image on Juan Diego’s famous tilma. I actually visited the Basilica as a Protestant missionary to Mexico in the 90s, but obviously didn’t appreciate what I saw back then. I certainly didn’t head to the tattoo parlor. If I had, it probably would have been a Billy Graham tat, and not Our Lady. While most of the attention of this great feast is rightly focused upon Mary, there’s another aspect to the story that isn’t often considered. Namely, Juan Diego. 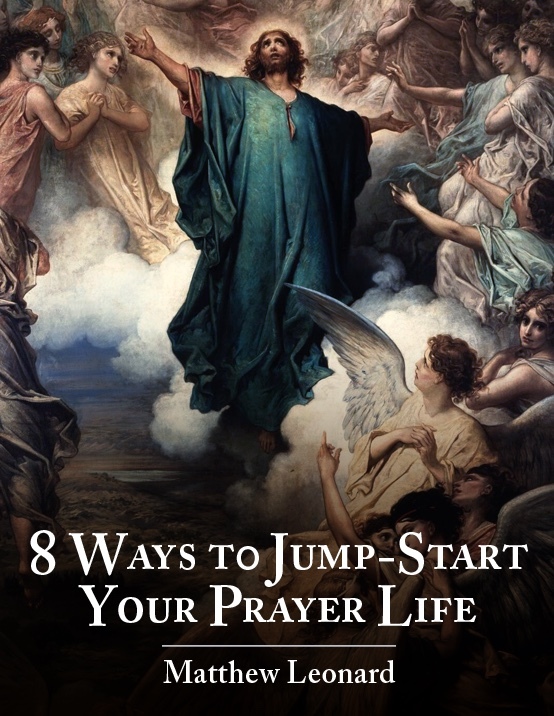 But because of Mary, his evangelistic life was just beginning. And look what he was able to accomplish. Look what God was able to accomplish through him. Look what his mother inspired him to do. 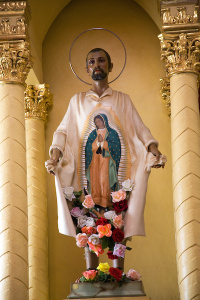 St. Juan Diego, not to mention Our Lady, is a great reminder that God can use us no matter where we are in life. All we have to be is willing. We have to ask for God’s grace to stop coming up with excuses or allowing distractions to take our focus off of what’s really important. So ask yourself, are you willing? Are you willing to do whatever God wants? To conform yourself completely and totally to his perfect will like Our Lady? Are you willing to say “yes” (or “si” in Juan Diego’s case), and let God do wonders through you regardless of where you are in life? Because if you are, he can use you to help change the world, too. I pray you continue to have a Blessed Advent! Come on pilgrimage with me to visit Our Lady of Guadalupe and other great sites in sunny Mexico from February 11-16, 2016! Click here for info. 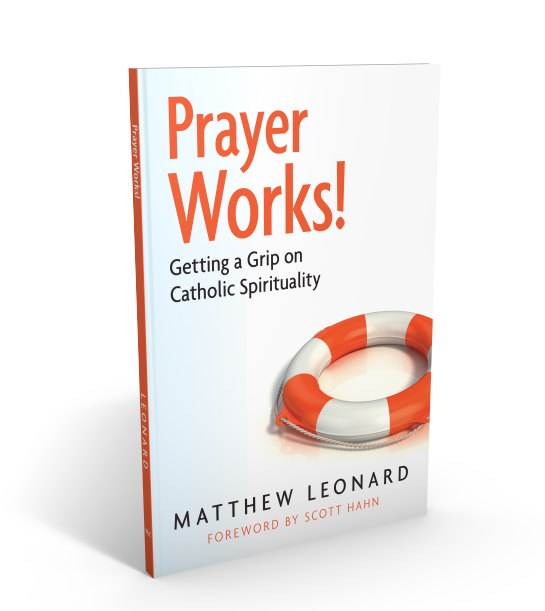 Want to go deeper in prayer? 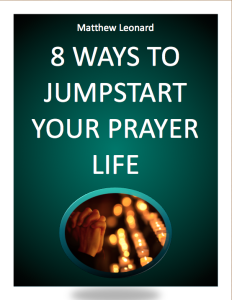 Grab my FREE cheat sheet 8 Ways To Jumpstart Your Prayer Life. You can grow close to God! 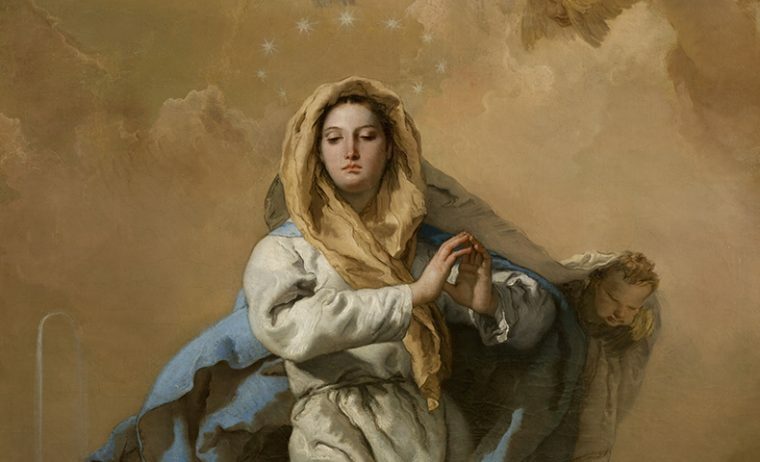 You may love Mary, but can you explain the Immaculate Conception? Better yet, can you explain it from the pages of the Bible? The dogma that Mary was preserved from the moment of her conception from the effects of Original Sin is one of the most important, yet misunderstood Catholic teachings. 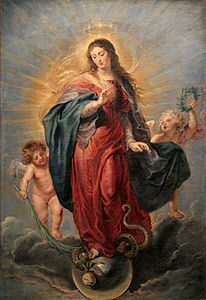 Many Catholics, not to mention Protestants, don’t realize the vital role played by this dogma, much less understand that the roots of the Immaculate Conception are deep in Sacred Scripture. 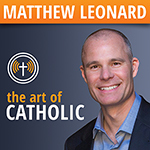 So this episode of The Art of Catholic is all about beginning to illuminate how the Mother of God is part of the divine thread that God has woven into the fabric of salvation history. How the biblical role she plays in the drama of our salvation actually demands the dogma of the Immaculate Conception. We’ll also see how Our Lady’s first “appearance” in the opening book of the Bible (Genesis), helps make sense of some of the crazy stuff in the last book of the Bible (Revelation). In other words, Mary’s role helps shed light on traditionally difficult passages. It’s not just because we want to look cool or think bigger is better. Catholic Bibles are simply bigger than Protestant Bibles. It’s a huge issue…one of, dare I say, biblical proportions. 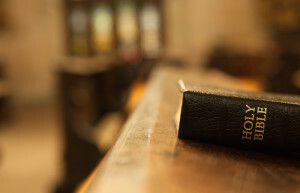 One of the fundamental principles of Protestantism is the doctrine of sola scriptura – the Bible alone. In other words, it teaches that the only sure authority upon which we can base our lives is the Bible because it alone is the inspired, inerrant Word of God. Of course, this belief raises obvious questions. For example, if the Bible is the only authority, then who has the right to interpret it? You? Your pastor? Your mechanic? It’s a problem. 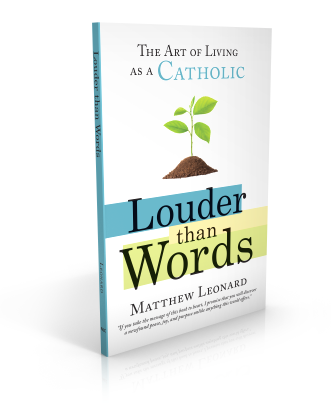 In fact, the issue of authority was the original impetus behind my eventual move to Catholicism some eighteen years ago. But the problem of authority doesn’t just come into play with regard to interpreting Scripture. It has a colossal impact on the book itself. In other words, who decides what books are actually inspired and which are just wise sayings? How did we get the canon of Scripture in the form we now possess? And why are Catholic Bibles different than those of our Protestant brothers? That’s what this show is all about. As you’re going to see, I’ve brought in an expert on this topic. 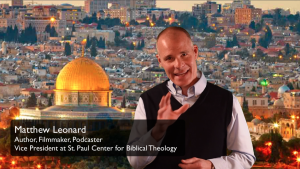 His name is Rob Corzine, a friend, and one of the vice presidents of the St. Paul Center for Biblical Theology. And it’s a pretty fair bet that you’re going to come away from this episode with whole lot more understanding about the important and fascinating history of Sacred Scripture than before.